Social share of voice measures brand exposure based on social media conversation. It’s usually measured as a percentage of total mentions within an industry or among a defined group of competitors. It’s what’s determined when social listening meets competitive analysis. When it comes to legacy media, share of voice measures the level of visibility advertisers own compared to their competitors. In other words, traditional share of voice tracks what brands say, and social share of voice tracks what people say about brands. 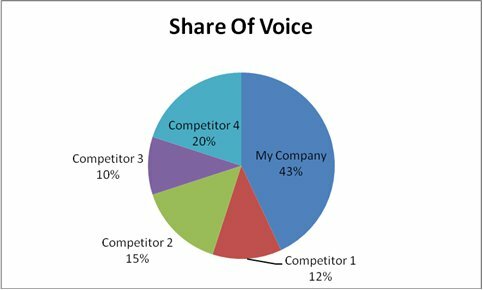 Social share of voice doesn’t just track what people say about your business, it tracks what people say about your competitors, too. 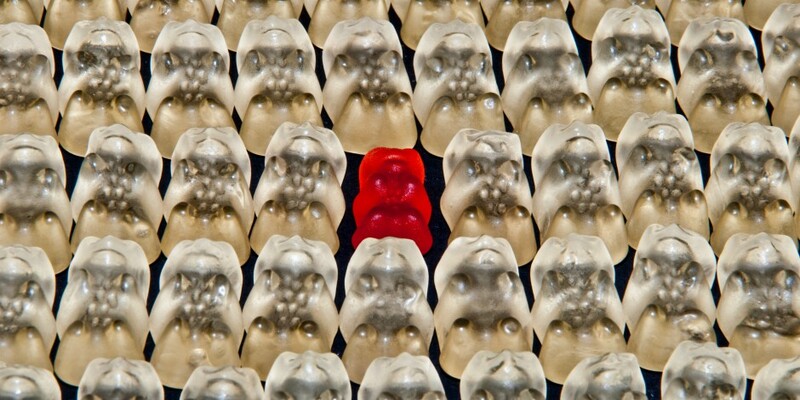 Having a big picture overview of the competitive landscape and market sentiment can give your brand an edge. If you own conversation on Twitter but are underrepresented on Facebook, you’ll know where you should prioritize your social dollars and resources. Regular tracking of social share of voice allows you to assess the success of social campaigns. If your share increases after running a campaign, your campaign likely hit the right mark with your audience. Show customers you’re listening to them. Insights drawn from sentiment or topic analysis can help inform your brand’s voice, engagement plan, and content. The easiest way to calculate your brand’s social share of voice is with a social media analytics tool, such as Hootsuite Insights. Social share of voice can be tallied manually, but the process of collecting your brand and competitor’s social mentions can be cumbersome. Once you have a dataset of all industry mentions, try segmenting it to get unique insights. For instance, you could segment mentions by location to see how your brand stacks up against competitors in different regions. You may also choose to apply other demographic filters, such as gender, age, or occupation. This can help you see if you have a larger social share of voice among one particular gender or age group, which could be a unique advantage against your competitors. It’s also important to analyze social share of voice by sentiment and topic. Your brand may have a high social share of voice, but if people aren’t saying good things, you’ll want to address that. This video shows how Hootsuite Insights can help you track your brand’s social share of voice. A tried and true way to earn your brand’s piece of the pie is to stay regularly active on all your social media channels. Customers will be more likely to reach out and engage if they know someone is there. A good first step is to create a social media content calendar. This will prevent your brand from missing out on important dates, many of which have higher social traction. Use the calendar as a planning tool, so you have content ready when you need it and so you don’t end up repeatedly posting the same thing. Merriam-Webster schools brands with its Twitter mastery. They go beyond “Word of the Day” with news-jacking “Words that spiked this week” tweets. Try to post at times when your audience is most active on each network. This will ensure your content gets the greatest reach and potential pick-up. Since social share of voice represents brand mentions, sparking online conversation can be a good way to up your share. Taking a firm stand on a hot topic will definitely blow up your mentions. Case and point: Adidas’ partnership with Colin Kaepernick, or Gillette’s #TheBestMenCanBe campaign. But brands don’t have to tread near controversy to spark social conversation. Bell’s annual Let’s Talk campaign positions the telecommunications company as a leader in the global mental health conversation. Question prompts are also extremely popular on Twitter and other platforms. When Fenty Beauty launched 40 foundation shades for all, they asked: “What’s yours?” and got hundreds of comments. Or do as Airbnb CEO Brian Chesky did and just ask for ideas. His call for suggestions received more than 1,000 responses. A little AMA can go a long way. Another good way to increase social share of voice is to post content that people will want to share. Images, GIFs, and videos tend to be popular. The more original or meme-worthy the better. Joining conversations about your brand is a good way to build customer relationships and increase positive sentiment. German web hosting company 1&1 Internet leveraged social tools to be more responsive to customers. After a year of increased engagement, the company found positive sentiment had increased by 20 percent and conversation around the brand went up 35 percent. This contributed to a 40 percent share of voice. Showing empathy and a touch of humanity can go a long way. A Harvard Business Review study of airline accounts on Twitter found that when customer service agents signed off with their initials, a customer’s willingness to pay for a future flight increased by $14. By tracking your social media share of voice, you’ll have a better idea of where to invest in sponsored content, partner with social influencers, or simply allocate more support resources. For example, is your voice lacking on Twitter, but healthy on Instagram? Consider hosting a Twitter chat or setting up a Twitter profile just for support questions. Having an informed social media strategy will allow you to focus on growing your share of voice where you need it the most. Remember: social share of voice is ultimately about tracking conversations. And conversations inspire conversions. It’s also important to measure what people say against what people do. Track social share of voice alongside other metrics that matter to your business. Plus, not all conversations take place on social media. Many happen in DMs, private channels, and offline—where they can’t be taken into consideration. So don’t rely on social share of voice alone to determine your success against your competitors. Hootsuite can help you track your brand’s share of voice on social media alongside all the other social media metrics that matter to your business. From one dashboard you can analyze your social presence, publish and schedule posts, and engage with followers. Try it free today.